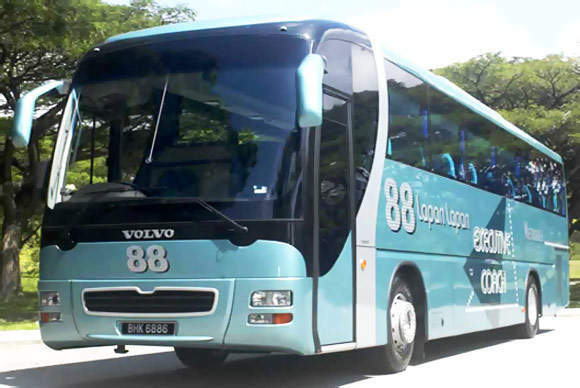 Fans of travel fairs may have heard of Lapan Lapan Travel (aka "88 express bus" or "88 快车" in Chinese) as it is known to offer very competitive priced bus tickets to Malaysia. Unlike many express bus companies which operate from Beach Road, Lapan Lapan buses depart from ParkRoyal on Kitchener Road Hotel in Singapore to Malacca, Kuala Lumpur and various destinations in Perak. The express buses are comfortable and spacious, and are mostly 27-seaters. The bus fare from Singapore to Kuala Lumpur starts from SGD25. The Lapan Lapan express bus departs from Park Royal Hotel (Kitchener Road) and arrives Kuala Lumpur at drop-off points: Terminal Bersepadu Selatan(TBS) and Furama Bukit Bintang Hotel. The Lapan Lapan bus ticket from Singapore to Malacca is priced at SGD24. 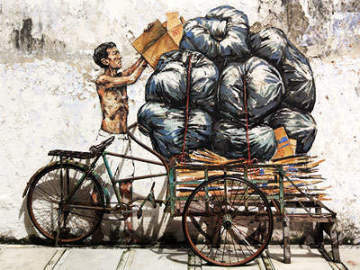 The pick-up point is at the Park Royal Hotel (Kitchener Road) and the drop-off points in Malacca are Hatten Hotel, Estadia Hotel, Equatorial Melaka and Novotel Melaka. 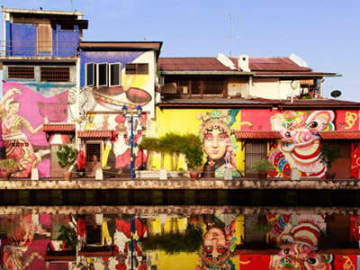 For those going to Perak, Lapan Lapan Travel is perfect, as it offers drop-offs at a host of locations, including Bidor, Chemor, Gopeng, Jeram, Kampar, Khantan, Slim River, Sungai Siput, Sungkai, Tanjung Malim Toll, Tapah, Tasik and Ipoh. The bus fare from Singapore to Perak starts from SGD35. If you are takeing the bus to Ipoh then you can choose drop-off locations at either Jalan Bendahara or Terminal Amanjaya. **The above timing and fares are subjected to changes without notice.